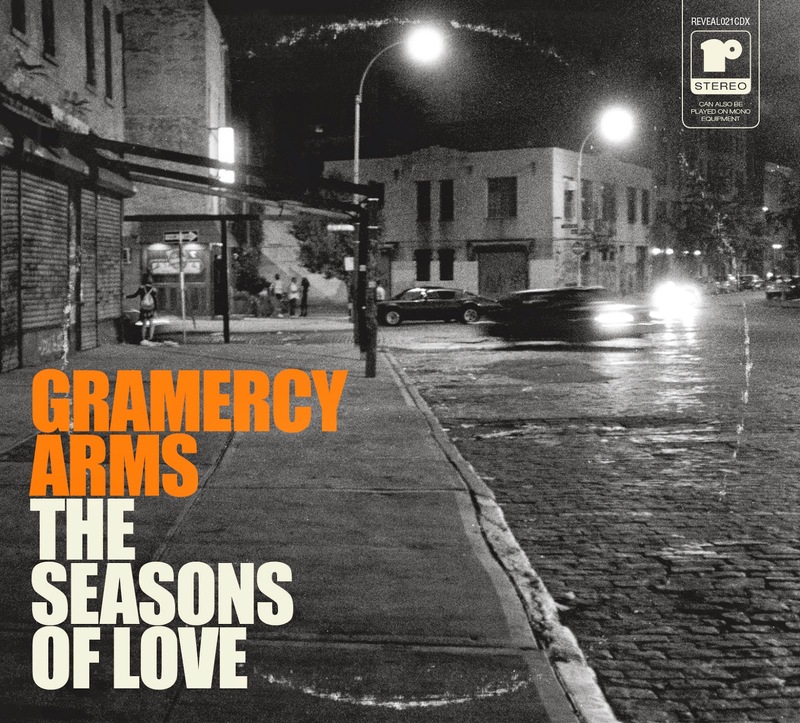 It's been nearly six years since we've been treated to an album from NYC music collective Gramercy Arms. Well, group kingpin Dave Derby has rounded up some friends and put together The Seasons of Love, which comes out on July 21st. English pop singer/songwriter Lloyd Cole serves as a strong influence for Derby on this record. In fact, Cole himself appears on the Beatles-esque "Yours Untruly", and swaps lead vocals with Joan Wasser (Joan As Police Woman) on the Adult Contemporary "Beautiful Disguise". The real gold is with a trio of bright power pop ditties. The first has Guided By Voices' Doug Gillard contributing to the peppy percussion and enormous hook of "Winter Light". Tanya Donelly lays down sugary sweet backing vocals to the deliciously jangly "Always In Love. While, Erin Moran sings on the irresistibly catchy "Novermberlong", which is bopped along by a bouncy piano line. There are a handful of tunes that end up being 'ho-hum' in execution, despite boasting strong melodies. Alas, "The Night Is Your Only Friend", which features Letters To Cleo's Kay Hanley, counts among these. A more sullen moodiness does bubble to the surface from time-to-time. The slick title track and the "Thins" are both stylish examples of that. The string-laden lament "Playing With Fire" (featuring The Magnetic Fields' Claudia Gonson) takes a more introspective approach. In all, Gramercy Arms has put together a mature pop album that should have anyone who loved the '90s salivating. Best tracks: "Winter Light", "Novemberlong"